Andrew McLeod kicks the ball. The junior defender has started eight games this season. Northwestern will take a break from conference play as it faces DePaul in a matchup of Chicago rivals. The Wildcats (4-5-3, 0-3-2 Big Ten) have not won a game since Sept. 9 against University of Missouri-Kansas City. Meanwhile, the Blue Demons (4-6-1, 1-2-1 Big East) come into the game on a four-game winless streak. One of their losses included cross-town rival Loyola who Northwestern beat earlier in the season. Sophomore goalie Miha Miskovic said it would be great to get a victory against both of NU’s Chicago rivals. DePaul relies on its midfielders to supply the bulk of its offense. Junior Zach El-Shafei, senior Bryan Simons and sophomore Istvan Wilhelms are the Blue Demons’ top three scorers. Of DePaul’s 11 goals this season, the trio has combined to score seven of them. The Cats will look to counter the Blue Demons’ attack with their own rejuvenated offense. Despite not pulling off a victory in almost a month, NU played one of its best games of the season on Saturday against Penn State. For just the third time this season, the Cats outshot their opponent. NU took 17 shots and created plenty of opportunities to score. 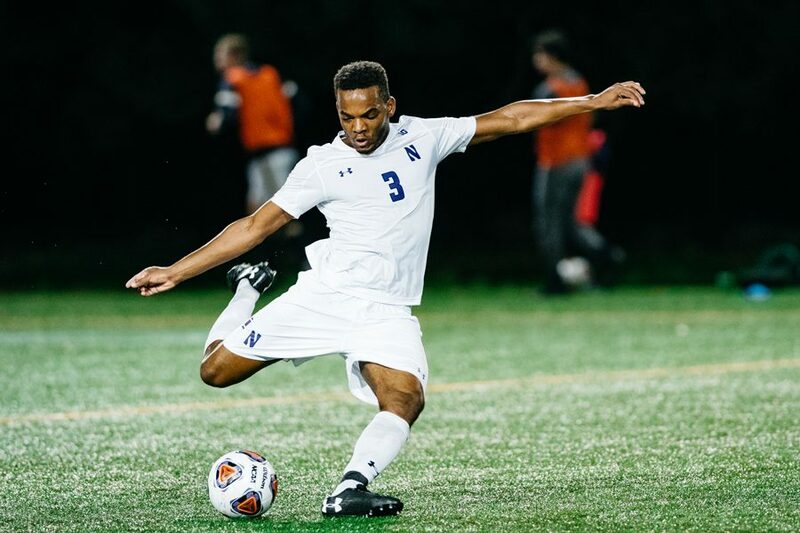 In overtime, Northwestern took three shots and Ty Seager almost converted a header into a game-winner goal, but it missed high. In their previous four games, the Cats had a combined 19 shot compared to 58 for their opponents. Even with a bevy of chances, NU could not break through to score a goal, extending its goalless drought to over 335 minutes. The last time the Cats scored was almost two weeks ago against No. 2 Indiana when junior midfielder Matt Moderwell scored on a cross from six yards out. Lenahan said NU will work on finishing chances in practice leading up to their game on Tuesday. The Cats will also have the luxury of being able to use the full extent of their roster on Tuesday in order to keep their legs fresh. Regardless of who sees playing time for NU, Miskovic said he knows both teams are hungry for a win to end their current abysmal stretches.